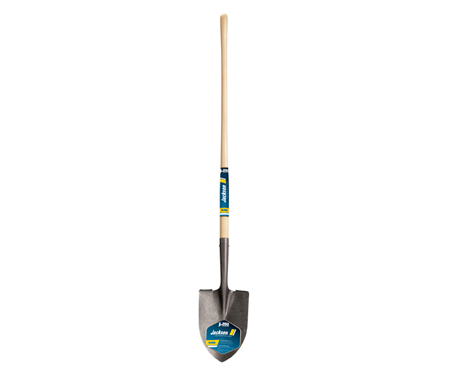 The Jackson J-250 long handle square point shovel with a closed back has an extended blade socket that provides more steel for greater strength. Closed back design prevents dirt and mud build-up. 47 in. L seal-coated premium northern ash handle for strength and durability.